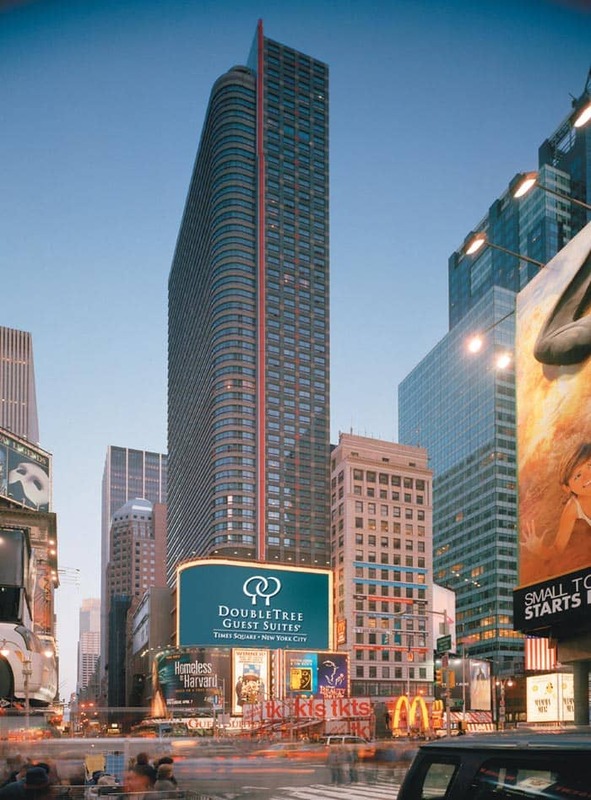 DoubleTree Suites Hotel Times Square, owned by Hilton Hotels is the only all-suite hotel on Broadway. 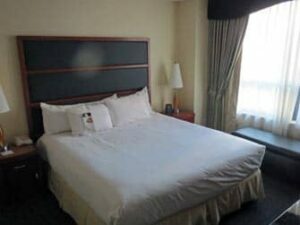 Located in a prime spot, right on Times Square. This modern, 45-story accommodation has ‘grandeur’ written all over it. A valuable addition to your stay in New York City. This hotel brings you all the luxury you may expect from an all-suite Hilton-owned hotel. 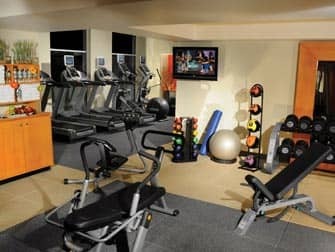 Stay in shape at the complimentary 24-hour fitness centre, have business meetings at the 10,000 square ft. event space and prepare them at the complimentary 24-hour business centre. While doing all of this, your safety is guaranteed by the 24-hour onsite security and the concierge is there when needed. 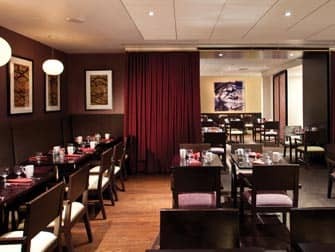 The popular, Broadway-themed Gingers Restaurant and Ad Lib Lounge, plus the morning coffee kiosk and available room service will keep your stomach satisfied at all times. 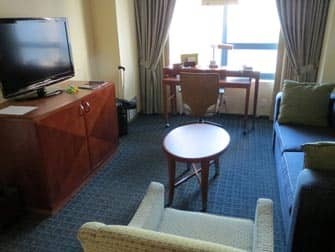 DoubleTree Suites Hotel Times Square offers 468 two-room suites with a living room, a private bedroom and a spacious bathroom. 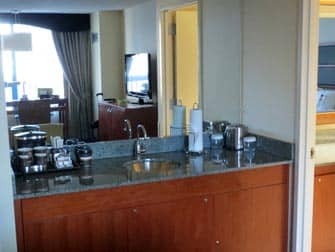 Each suite is equipped with a large bed, a sofa bed, two flat-screen televisions, a wet bar, a refrigerator and a microwave. And for those on a business trip: the large desk with ergonomic chair will fulfil all your work-related needs. DoubleTree Suites is located at 1568 Broadway, where 47th Street and 7th Avenue cross, which means it is surrounded by Broadway theatres. Also world-famous restaurants, shops and museums are just steps away. To name a few hot spots you’ll find within walking distance: Top of the Rock, Carnegie Hall and Radio City Music Hall. And, in a more practical way: Penn Station, Grand Central Station and the Port Authority Bus Terminal are nearby too. Plus: all major subway lines are accessible from outside the hotel on 47th Street. Airports JFK, LaGuardia and Newark are all less than twenty miles away.